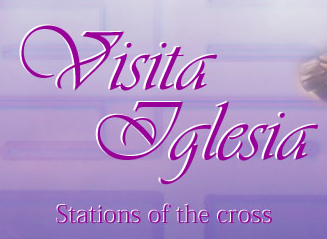 We went on a visita iglesia and had the stations of the cross last Maundy Thursday. As usual, this seemed like a never-ending 'lakaran'.My barkada use to this every year so I got accustomed to the tiring walk already. Great thing it wasn't that humid that night and the breeze was a lil refreshing. I noticed the churches weren't that crowded compared with the previous years. Looks like most have taken vacation. So who says we are experiencing financial crisis?lolz..